We're so happy to be back with our January Release! We have 3 new stamp sets that were released yesterday. 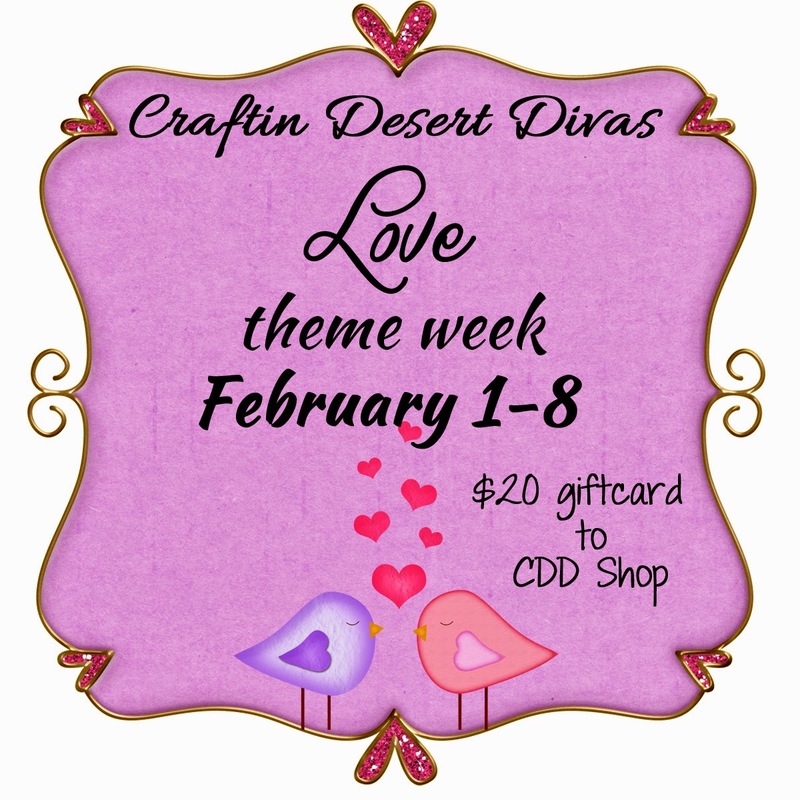 All stamps are in the CDD Shop and available for purchase. 1. Use code: Jan to receive 20% off your entire order. Sale ends 2/1 at 10pm MST. 2. With a minimum $30 purchase (before tax & shipping), the 2x3 freebie will be added to your order automatically. Offer ends 2/1. 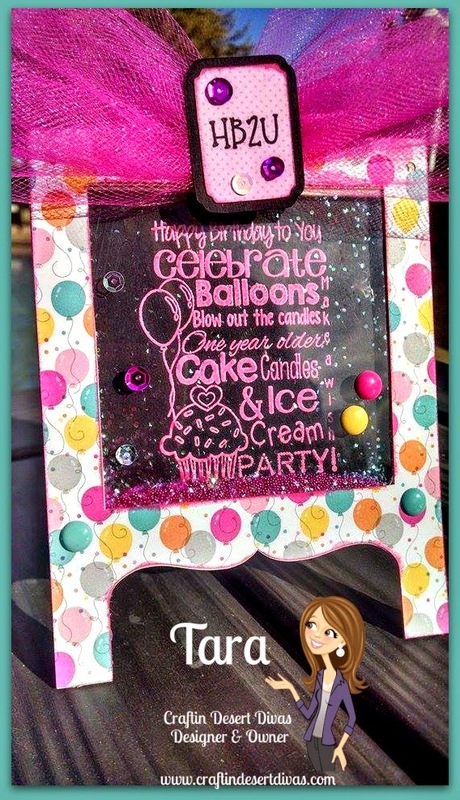 I thought this chalkboard easel card from Lori Whitlock would make cute table decorations for a birthday party. I did make them into shaker cards. Yes, I'm on a shaker card kick right now, but I can't help myself. They are so fun and easy to make. 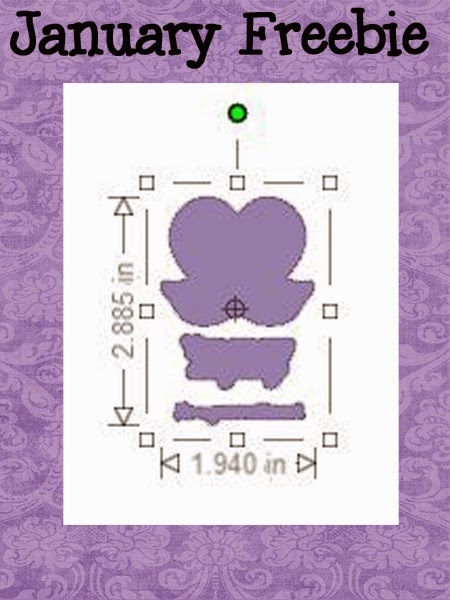 The shape is from the Silhouette Store #62413. I've used my new Celebration Wordart stamp. They are the perfect size for this project! I did heat emboss the wordart I think it makes it stand out on the black background paper. I've added some tulle and a ticket shaped tag and sentiment from the Short & Sweet Tags. 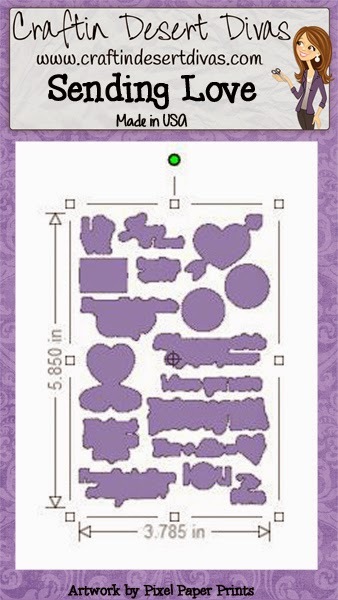 Doodlebugs Sugar Shoppe paper. To finish it up there is glitter on the inside for the shaker part, sprinkles and sequins. With this easel I cut out some stars from the same Hip Hip Hooray Doodlebug paper pad to make them the shaker part. A few sequins, sprinkles and Jute string it was done. I hope you have enjoyed this release as much as I have. 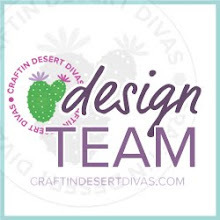 Be sure to join us on Monday for a new linky party. Also, our daily post is going to have a "Love Is In The Air" themed project for you to enjoy. 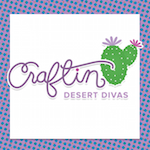 So be sure to check here daily for a new project. Tara this is perfect and you just gave me the best idea ever for a cute table decoration for my 1st grandbabies baby shower. I am going to use the family subway art stamp and make lil easels for the tables!!! TFS! Oh my goodness those cards are awesome!! Such a cute birthday decoration....awesome inspiration! OMG Super, super cute cards. What an awesome idea. Your easel cards are ingenious!! This is a great idea. I still need to try making shaker cards. 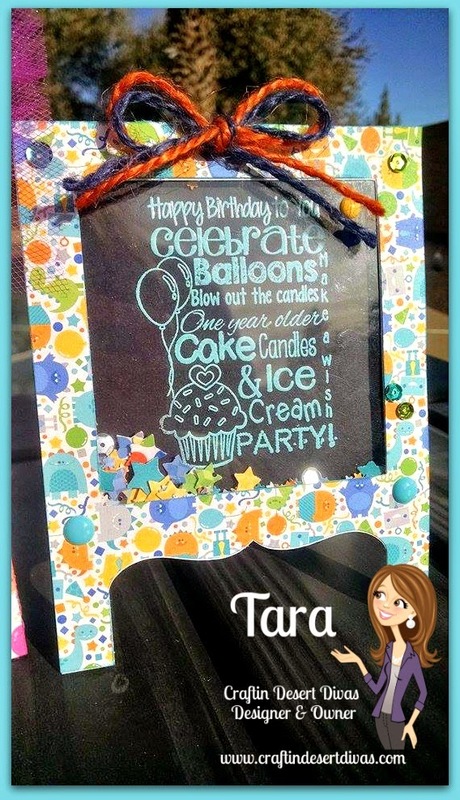 Tara, You always create the best projects and I must say your birthday shaker cards are one of my favorites. Both cards are so fun, festive and unique, love the papers and tulle. I really like the new word art stamps. Your cards are great! Thanks for sharing. 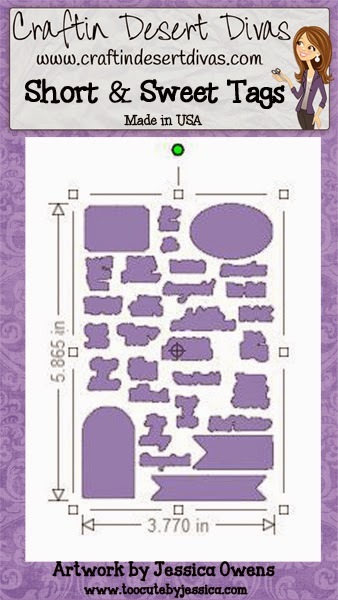 Love your shaker card decorations, what a great idea for a party! I am in love with these Tara !!!! My favorite !!!! I love the way you embossed on the black !!! The papers are perfect !!! Thank you for such wonderful set of stamps !!! I just love the shaker cards--Awesome job! 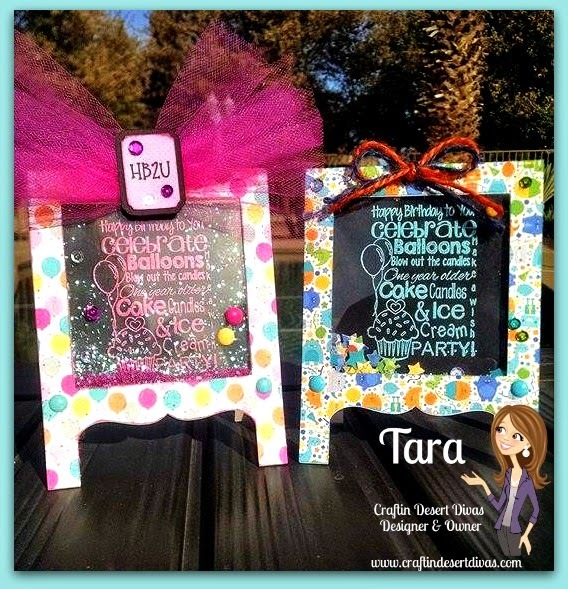 Tara, your chalkboard easel cards are absolutely adorable! 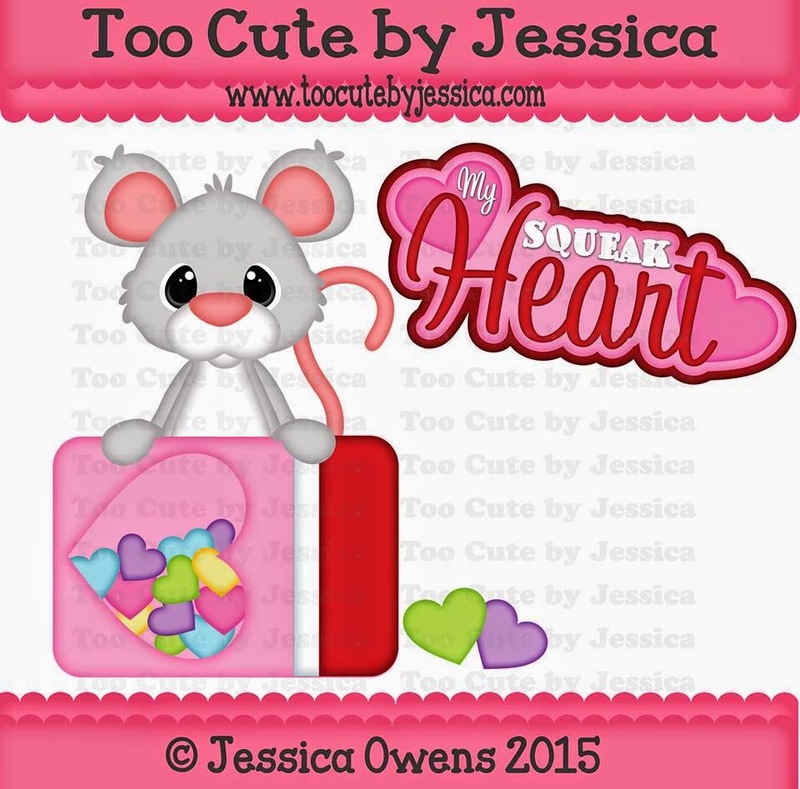 I love how you used the word art images and then also the fact that you made these into shaker cards....so fun! The papers, colors and fun extra's are awesome! Great release and everyone did an amazing job of showcasing your new release! 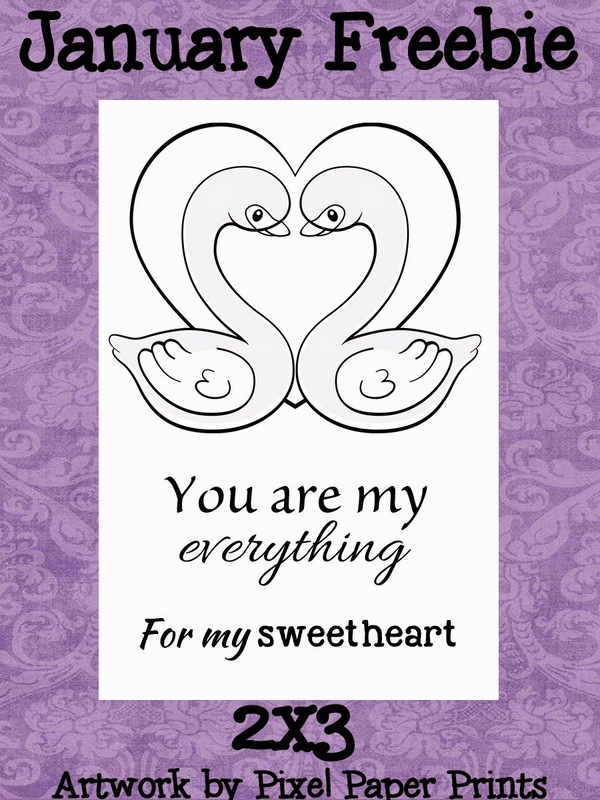 Love your easel cards - so colorful and cute. Oh how I love shaker cards. TFS. Forgot to add that I follow you with bloglovin. I just love your easel chalkboard shaker cards! Way too cute! Tara your cards are amazing as always!!! Can I say how much I always approve (cause, thats important, LOL) of your paper choices! I think we both are really drawn to bright and fun prints! Though I do find they seem to be a challenge for a lot of people. You on the other hand, do the best! These are such fun projects! Super love! I love how the colors pop against the black, and the easel cards are so fun! I love the easel cards!! Love the new stamp release! Love the easel cards and gonna have to get those. Cute love the easel cards. This is really Girly and cute! Awesome cards!! Love the monster birthday paper! These easels are fabulous--love how they turned out! Oh my, these chalkboard easel cards aree fabulous!!! Great set of stamps!!! Love the easel card! All of the cards are great! 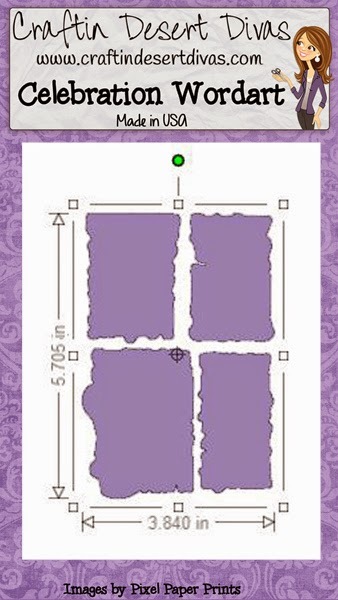 Love your easel cards! Very pretty! 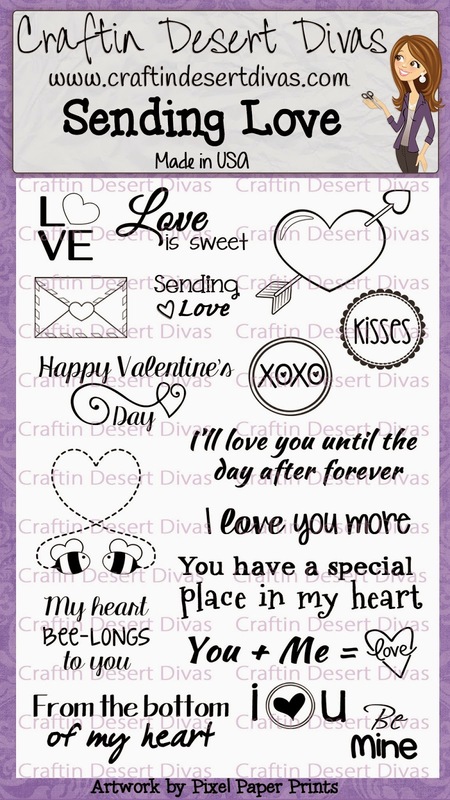 Really love the wordart stampset! 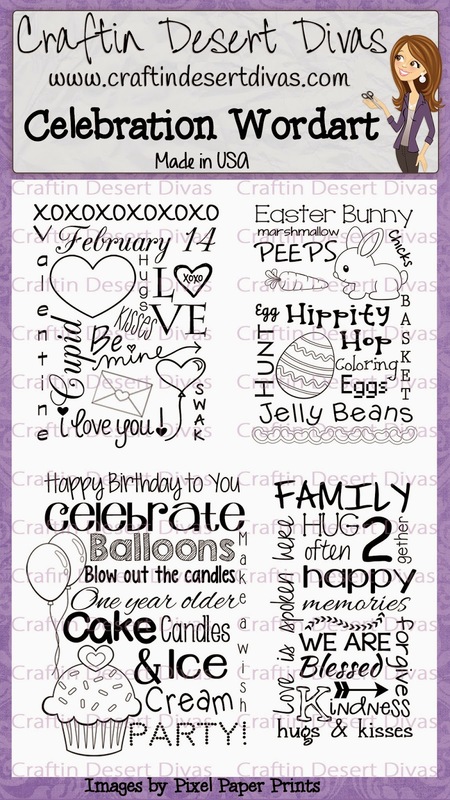 Love, Love Love these easel shaker cards. The papers are great and love the bright colors!! Love your easel shaker cards Tara! !